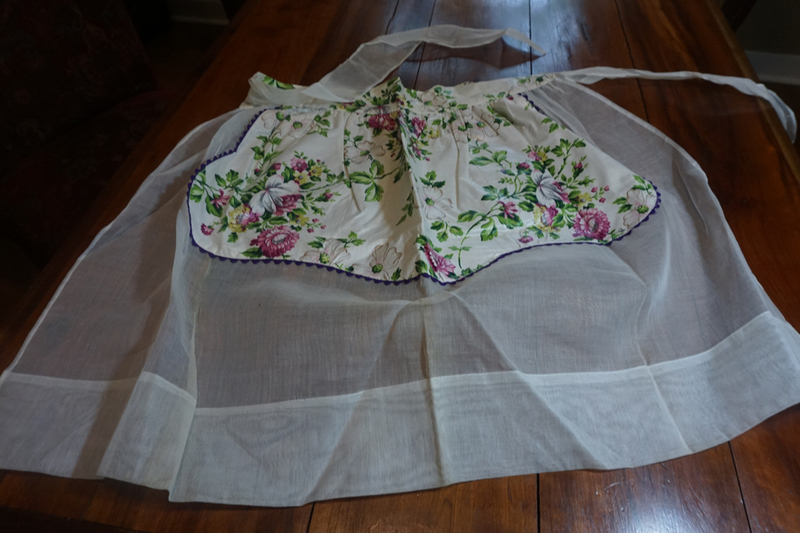 This apron is so dang girly beautiful that it's almost too pretty to wear, which must be why I came upon it in brand new condition. 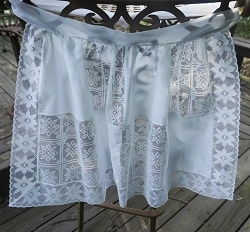 But I do fancy YOU wearing it when hosting your next spring garden party, meandering amongst your special guests. 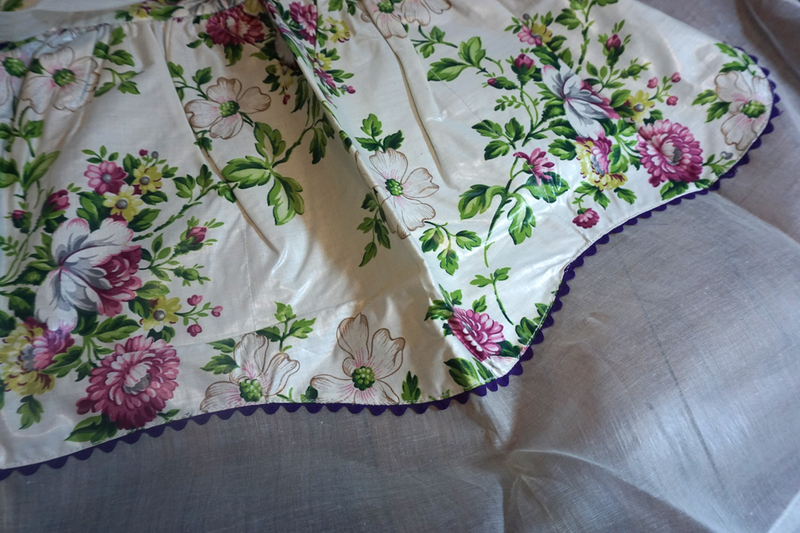 Sheer voile fabric overlaid with floral fabric with dahlias and dogwoods in the most fun shades of greens and purples. There's even a little purple rick rack border.